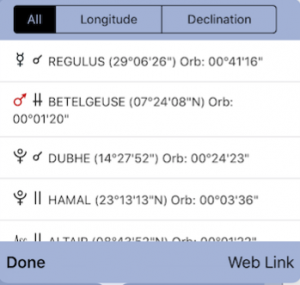 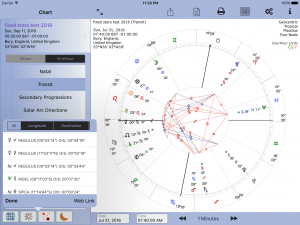 The fixed star aspects table shows prominent fixed star aspects (conjunction only) for the currently selected chart. 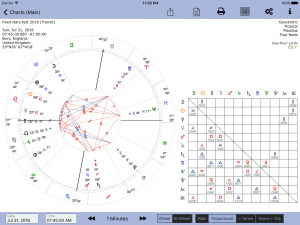 If a progressed or directed chart is currently selected, the aspects shown are to the progressed positions. 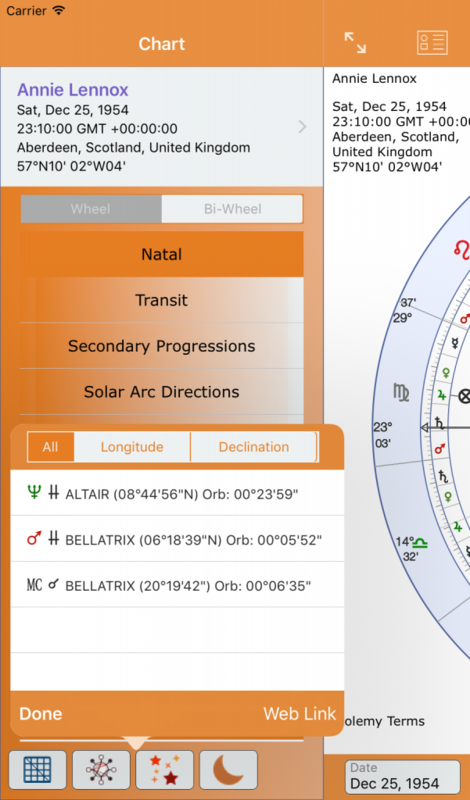 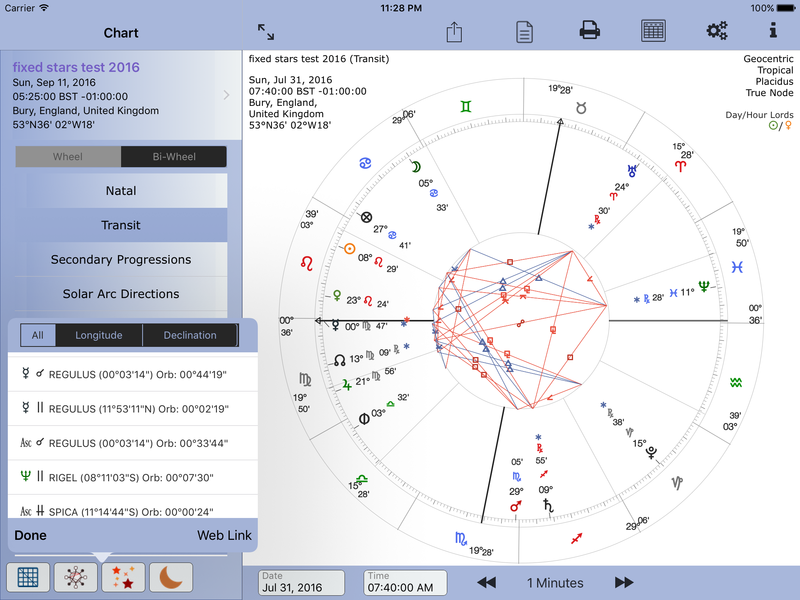 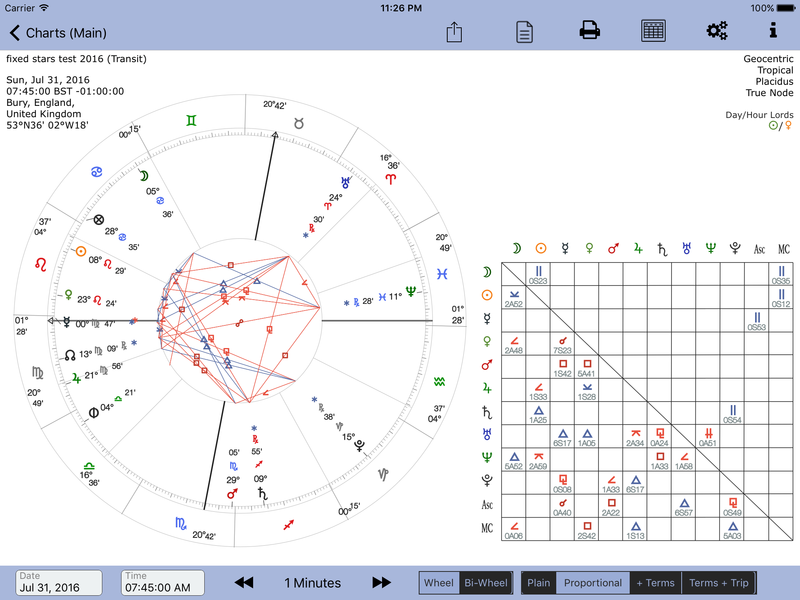 Planetary fixed star aspects are shown by a * symbol in the chart. Fixed star conjunctions to the Asc or MC are shown by a red star slightly offset from planetary fixed star aspects.